Jody Berland is Associate Professor of Humanities, York University,Toronto. She has published widely on cultural studies, Canadian communication theory, music and media, cultural studies of nature,and the cultural technologies of space. She is co-editor of several books, most recently Cultural Capital: A Reader on Modernist Legacies, State Institutions and the Value(s) of Art, McGill-Queen’s University Press (2000), and the editor of Topia: A Canadian Journal of Cultural Studies. North of Empire, Duke University Press, 2009. “Cat and Mouse: Iconographies of Nature and Desire” (Cultural Studies, Spring 2008) and “Animal as Medium” (Global South, Spring 2009) are part of her current research project on virtual menageries. Erica Carter is Professor of German and Film and Head of German at King’s College. She started her research career as a student at the Birmingham Centre for Contemporary Cultural Studies, then moved from CCCS to co-found a translation cooperative, Material Word. Following a later stint as Director of Talks at the Institute of Contemporary Arts, London, she returned to academic life, and has since researched, published and taught widely on German cultural and film studies and cultural history. Her publications include How German is She? Postwar West German Reconstruction and the Consuming Woman (Michigan UP, 1997), The German Cinema Book (BFI 2002), Dietrich’s Ghosts: The Subime and the Beautiful in Third Reich Film (BFI 2004) and Béla Balázs: Early Film Theory (Berghahn 2010). She is currently working on a project on cinema audiences and the melodramatic sensibility, which focuses on the history of German-Jewish exile audiences after 1933. Kuan-Hsing Chen is Professor in the Center for Asia-Pacific/ Cultural Studies, National Tsing Hua University, Taiwan. He has held visiting professorships at universities in Singapore, Korea, China, Japan, and the U.S. He has published extensively in both Chinese and English, including edited volumes in English: Stuart Hall: Critical Dialogues in Cultural Studies (Routledge 1996) and Trajectories: Inter-Asia Cultural Studies (Routledge 1998); and in Chinese: Cultural Studies in Taiwan (2000) and The Partha Chatterjee Seminar–Locating Political Society: Modernity, State Violence and Postcolonial Democracies (2000). His own books include Media/Cultural Criticism: A Popular-Democratic Line of Flight (1992, in Chinese), and The Imperialist Eye (2003, in Korean). Towards de-imperialization—Asia as method (2006, in Chinese) is a more recent publication. He was founding chair of the Cultural Studies Association, Taiwan and is on the board of the international Association for Cultural Studies. A member of the Taiwan: A Radical Quarterly in Social Studies, he has been a co-executive editor of the journal, Inter-Asia Cultural Studies since 2000. James Donald is Dean of the Faculty of Arts and Social Sciences and Professor of Film Studies at the University of New South Wales, having worked previously at the Open University, Sussex University and Curtin University of Technology. He is a Director of the UNSW Press, holds a Special Professorship at the University of Nottingham in the UK, and was elected to the Australian Academy of the Humanities in 2006. He was editor of Screen Education (1978-80) and founding editor of New Formations (1987-89). He is the author of Imagining the Modern City (1999) and Sentimental Education: Schooling, Popular Culture and the Regulation of Liberty (1992), and co-author of the Penguin Atlas of Media and Information (2001). He has edited a dozen volumes, including Thresholds: Psychoanalysis and Cultural Theory, ‘Race’, Culture and Difference (with Ali Rattansi), Close Up, 1927-1933: Cinema and Modernism (with Anne Friedberg and Laura Marcus) and the Handbook of Film Studies (with Michael Renov). He has published over 35 book chapters and journal articles. His main research project at present is a study of the international cultural significance of Josephine Baker and Paul Robeson between the Wars. Phil Cohen was active at the Centre for Contemporary Cultural Studies in Birminghham in the 1970s and a researcher at the Institute of Education in the 1980s He then moved to the University of East London , where he established the Centre for New Ethnicities Research which he ran for ten years, developing a new approach to working with children and young people around issues of ‘race’ and identity. A collection of this research New Ethnicities,Old Racisms appeared in 2002 (Zed Press). He collaborated with Nora Rathzel (Umea University) and Les Back and Michael Keith (Goldsmiths College London) on an ESRC funded study of young people’s perceptions of race, place and identity in London and Hamburg. The findings are published in Finding the Way Home ( V & R Unipress 2007). He then set up the London East Research Institute focussing on the regeneration of East London. He co-edited a collection of this work London’s Turning with Mike Rustin, (Ashgate 2007 He is currently Emeritus Professor in Cultural Studies at UEL. Since retirement he has concentrated on his writing and research, completing a memoir, Reading Room Only (Five Leaves April 2013) ; a collection of his recent academic work in the field of narrative and memory, Borderscapes (Palgrave Macmillan 2013) and a book on East London and the Olympics On the Wrong Side of the Track (Lawence and Wishart January 2013). He is currently at work on a new book about ‘uncommon culture’. Tony Dowmunt is the Course Convenor for MA Screen Documentary at Goldsmiths, University of London and recently completed a Fellowship in the Creative and Performing Arts, funded by the AHRC. His Fellowship was a project investigating autobiographical documentary and the video diary form, in both theory and practice. Previously, as well as teaching, he worked as a television Producer/Director for twenty five years, and as a community media activist. His most recent work involved innovative arts documentaries. His other research interests include ‘alternative media’ and the growing field of practice research in the moving image. He is a founder member of the steering group of AVPhD, a training organisation for all those involved in audio-visual practice/research doctorates. Maud Ellmann is currently the Randy L. and Melvin R. Berlin Professor of the Development of the Novel in English at the University of Chicago. Previously she held the Donald and Marilyn Keough Chair of Irish Studies at the University of Notre Dame (2005-10), and a Readership in Modern Literature at the University of Cambridge, where she was a Fellow of King’s College from 1990-2004. Her books include The Poetics of Impersonality: T. S. Eliot and Ezra Pound (1987), The Hunger Artists: Starving, Writing and Imprisonment (1993), Psychoanalytic Literary Criticism: A Longman Critical Reader (1994), Elizabeth Bowen: The Shadow Across the Page (2003), and The Nets of Modernism: Woolf, Joyce, James, and Freud (2010). Jack Halberstam is Professor of English, American Studies and Ethnicity and Gender Studies at USC. Halberstam works in the areas of popular, visual and queer culture with an emphasis on subcultures. Halberstam has published several books including:Skin Shows: Gothic Horror and the Technology of Monsters (1995), Female Masculinity (1998), and In a Queer Time and Place: Transgender Bodies, Subcultural Lives (2005), Halberstam was also the co-author with Del LaGrace Volcano of a photo/essay book, The Drag King Book (1999), and with Ira Livingston of an anthology, Posthuman Bodies (1995). Halberstam is working on a book about knowledge production and another for Reaktion Books called BAT.This semester, Halberstam is teaching a course on Queer Theory/Feminism and New Media which features sections on surveillance cameras, net art, hack-tivism, animation and queer code. Donna J. Haraway is Professor and Chair of the History of Consciousness Program at the University of California, Santa Cruz. She is the author of Crystals, Fabrics, and Fields: Metaphors of Organicism in Twentieth-Century Developmental Biology (1976), Primate Visions: Gender, Race, and Nature in the World of Modern Science (1989), Simians, Cyborgs, and Women: The Reinvention of Nature (1991), Modest_Witness@Second_Millennium.FemaleMan©Meets_ OncoMouse (1997, Ludwig Fleck Prize), The Companion Species Manifesto: Dogs, People, and Significant Otherness (2003), and When Species Meet (2008). In september, 2000, Haraway was awarded the highest honor given by the Society for Social Studies of Science (4S), the J D Bernal Award, for lifetime contributions to the field. She is a leading thinker about people’s love and hate relationship with machines and the complexities of animal/human naturecultures. Her ideas have sparked an explosion of debate in areas as diverse as primatology, philosophy, and developmental biology. David Hesmondhalgh is Professor of Media and Music Industries and Director of the Media Industries Research Centre (MIRC) at the University of Leeds. Much of his research has been about questions of power, meaning and pleasure in music. He is the author of The Cultural Industries (2002 and 2007) and co-editor of The Media & Social Theory (2008), Media Production (2006), Understanding Media: Inside Celebrity (2005), Popular Music Studies (2002) and Western Music & Its Others: Difference, Representation & Appropriation in Music (2000). Áine O’Brien is Director of the Centre for Transcultural Research and Media Practice, Dublin Institute of Technology. Combining a background in cultural studies, visual culture and media production, she has taught in the US and Britain, publishing articles on a range of topics, including music and migration, narratives of nation and gender within Irish public culture, and the application of critical and cultural theory in practice-led research. She is co-editor of Projecting Migration: Trancultural Documentary Practice (2007, Wallflower Press). Her film production includes the co-direction of a performative documentary (Silent Song, 2000) on Kurdish lyrical protest in Europe, in addition to Here To Stay (2006) and Between Promise and Unrest (2007) on the subject of gendered migration. She is Director of FOMACS (Forum on Migration and Communications)—a three-year media-driven programme producing print, photographic, broadcast and interactive stories on the topic of immigration and integration, with the aim of reaching and engaging diverse audiences and constituencies. Bill Schwarz is Reader in the Department of English, Queen Mary, University of London. His research focuses on postcolonial history, with particular emphasis on the end of the British empire. Most of his recent work has concentrated on Caribbean writing of the twentieth century, both fiction and non-fiction. He addresses too historiographical questions concerning the theoretical underpinnings of postcolonial history, and the relations between history and memory. 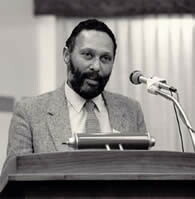 Most recently he has edited West Indian Intellectuals in Britain (2003), The Locations of George Lamming (2007), and Caribbean Literature After Independence: the Case of Earl Lovelace (2008). He is an editor of History Workshop Journal, New Formations and Visual Culture in Britain. He is currently writing a short booked provisionally called How Britons Came to Know US Civil Rights and Black Power. Gillian Swanson is Reader in Cultural History at the University of the West of England, Bristol. Her research focuses on the cultural history of private life; urban cultures of entertainment and consumption, the management of sexual character in post-war Britain, and more recently, the emergence of psychopathology in Britain and its influence on the idea of the cultural. Her most recent book is Drunk with the Glitter: Space Consumption and Sexual Instability in Modern Urban Culture (2007). She is currently working on a series of articles on the psychopathologist William McDougall’s model of character, consciousness and experience, and a book, Cultural History: Detail and Intimacy (Routledge). Gillian is co-editor (with Ben Highmore) of the forthcoming Routledge book series New Directions in Cultural History. Tiziana Terranova is Associate Professor in Sociology of Communications and Cultural Studies at the Università degli Studi di Napoli ‘L’Orientale’. She is the author of Network Culture (Pluto Press, 2004) and of many essays on the cultural politics of new media in Social Text, Theory Culture and Society, Parallax, Mute, C-Theory and others. Andrew Wernick is Emeritus Professor of Cultural Studies and Sociology at Trent University in Canada, a Visiting Professor at Ivan Franko National University in Lviv, Ukraine, and a Life Member of Clare Hall, Cambridge. Born and educated in England, he read History and Economics at the University of Cambridge before moving to Canada, and received his PhD in Politics at the University of Toronto. At Trent he was the founding director of the Centre for Theory Culture and Politics, and the chair at various times of Sociology, Cultural Studies, and the MA program in Methodologies for the Study of Western History and Culture. A social theorist, intellectual historian, sociologist of culture and jazz musician, he is the author of more than sixty essays on contemporary culture and cultural/social theory, and serves on the editorial boards of C-Theory, TOPIA: Canadian Journal of Cultural Studies, and Pensar la Publicidad. His writings includePromotional Culture (Sage 1991), Auguste Comte and the Religion of Humanity (Cambridge University Press 2001), and the co-edited anthologies Shadow of Spirit: Religion and Postmodernism (Routledge 1993) and Images of Aging: Cultural Representations of Later Life (Routledge 1994). His most recent work is on nihilism and the sacred in post Cold War culture, and on the political theory of the gift. Handel Kashope Wright has been variously Canada Research Chair of Comparative Cultural Studies and David Lam Chair of Multicultural Education and is currently Professor and Director of the Centre for Culture, Identity and Education, University of British Columbia. He is co-editor of the book series African and Diasporic Cultural Studies (University of Toronto Press), Associate Editor of Critical Arts and serves on the editorial board of several cultural studies and education journals including the International Journal of Cultural Studies, the European Journal of Cultural Studies and Postcolonial Studies in Education. He has published extensively on continental and diasporic African cultural studies, cultural studies of education, critical multiculturalism, anti-racist education and qualitative research including most recently, the co-edited books Africa, Cultural Studies and Difference (with Keyan Tomaselli, Routledge, 2011); Transnationalism and Cultural Studies (with Meaghan Morris, Routledge, 2012); Precarious International Multicultural Education (with Michael Singh and Richard Race, Sense, 2012) and The Promised Land: History and Historiography of the Black Experience in Chatham-Kent and Beyond (with Boulou de B’beri and Nina Reid-Maroney, University of Toronto, 2014). Couze Venn is Emeritus Professor of Cultural Theory at Nottingham Trent University and Research Fellow in the Johannesburg University. He taught cultural studies and science and technology studies for many years at the University of East London. His research and writings have addressed issues of subjectivity, modernity, postcolonial theory, and critiques of capitalism. He is currently managing editor of Theory, Culture & Society and review editor for Body & Society. He was a founding editor in 1976 of the journal Ideology & Consciousness. His publications include Changing the Subject: Psychology, Social Regulation and Subjectivity (1984 and 1998, co-written with Valerie Walkerdine, Wendy Hollway, Cathry Urwin and Julian Henriques), Occidentalism: Modernity and Subjectivity (Sage, 2000), The Postcolonial Challenge: Towards Alternative Worlds (2006). He has co-edited special issues and sections of Theory, Culture & Society on Cosmopolis; Problematizing Global Knowledge; Cultural Theory and its Futures; Intellectuals, Power, and Multiculturalism; Michel Foucault; Affect,(in Body & Society); Race. He has translated papers by Foucault, Irigaray, Donzelot, Lyotard, Latour, Lazzarato, Revel, Cochoy, Alliez, Stiegler. Recent articles have included: ‘Neoliberal Political Economy, Biopolitics and Colonialism: A Transcolonial Genealogy of Inequality’ (2009), ‘Individuation, Relationality, Affect: Rethinking the Human in Relation to the Living’ (2010), ‘Aesthetics, Politics, Identity: Diasporic Problematisations’ (2010), and he has just completed ‘A Genealogy of Postcolonial Capitalism, or, Arguments for Postcapitalist Economies’. His current research focusses on ‘Protocols for a New Economy’ and issues relating to transdisciplinarity. Sharon Zukin is professor of sociology at Brooklyn College and the Graduate Center of the City University of New York, where she teaches and writes about cities, culture and the economy. She began her career studying public ideology and private lives in the former Yugoslavia (Beyond Marx and Tito, Cambridge University Press), then moved closer to home to focus on the union of culture and finance in New York City (the groundbreaking Loft Living, Johns Hopkins University Press). Since then she has written about post-industrial displacements in the United States and France, the rise of the symbolic economy in contemporary cities, and a critical history of shopping in the United States. Zukin’s most recent book, Naked City: The Death and Life of Authentic Urban Places (Oxford University Press, 2010), completes her trilogy on New York since the 1970s, which also includes Loft Living and The Cultures of Cities (Blackwell). Her book Landscapes of Power: From Detroit to Disneyland (University of California Press) won the C. Wright Mills Award in 1992, and in 2007 Zukin received the Robert and Helen Lynd Award for Career Achievement from the urban sociology section of the American Sociological Association. She is currently a visiting professor in the Urban Studies Programme at the University of Amsterdam.